PALO ALTO, Calif. – Jennifer Haroon, Chief Operating Officer at Nauto has been named a 2019 Automotive News Rising Star. Jennifer and her co-honorees are featured in a special section in the April 1 issue of Automotive News. This year’s honorees come from 18 companies and10 disciplines — from executive management to supply chain, engineering and human resources. Jennifer Haroon is Chief Operating Officer at Nauto, an AI-technology company that is improving the safety of commercial fleets today and the autonomous fleets of tomorrow. Prior to Nauto, Jennifer was the Head of Business Operations for Waymo (formerly the Google Self-driving Car Project), focusing on strategy and business development. She also spent six years at Google working on a variety of projects. During that time, she developed and launched CSquared, a wholesale metro fiber optic network business in Sub-Saharan Africa. She also worked on many of Google’s early health-related initiatives including Google Flu Trends and the Flu Vaccine Finder. NautoⓇ is an AI-technology company that’s improving the safety of commercial fleets today and the autonomous fleets of tomorrow. 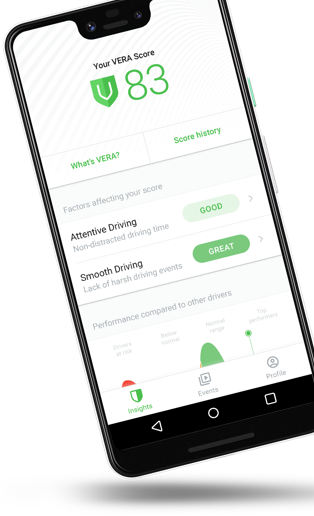 Nauto’s intelligent driver safety system assesses how drivers interact with the vehicle and the road ahead to reduce distracted driving and prevent collisions. With this knowledge, Nauto is powering the development of self-driving technology that brings the best of human driving to autonomy. Nauto is located in North America, Western Europe, and Japan. Nauto is backed by SoftBank Vision FundGroup Corp., Greylock Partners, BMW iVentures, GeneralMotors Ventures, Toyota AI Ventures, Allianz Group, Playground Global and DNXVentures. More information about Nauto is available at www.nauto.com, or on LinkedIn, Facebook and Twitter.